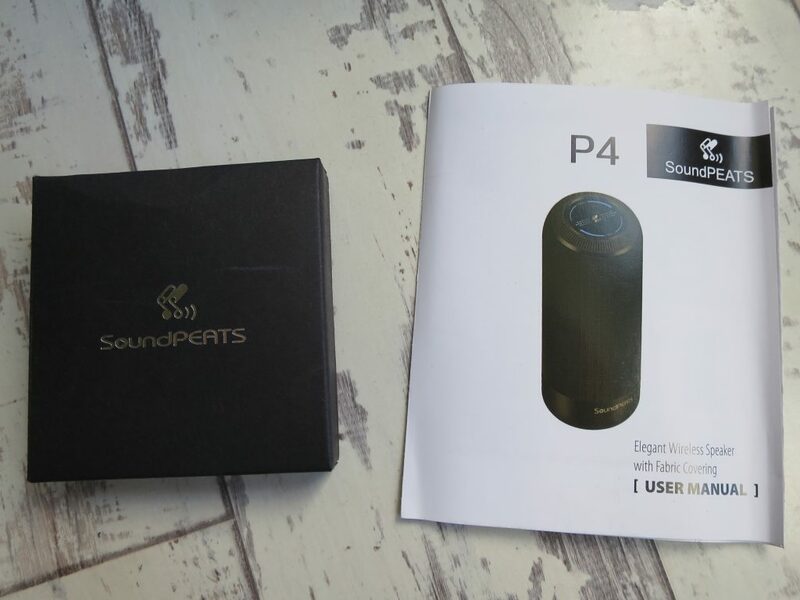 A speaker that caught my eye right away was the SoundPEATS P4 speaker. 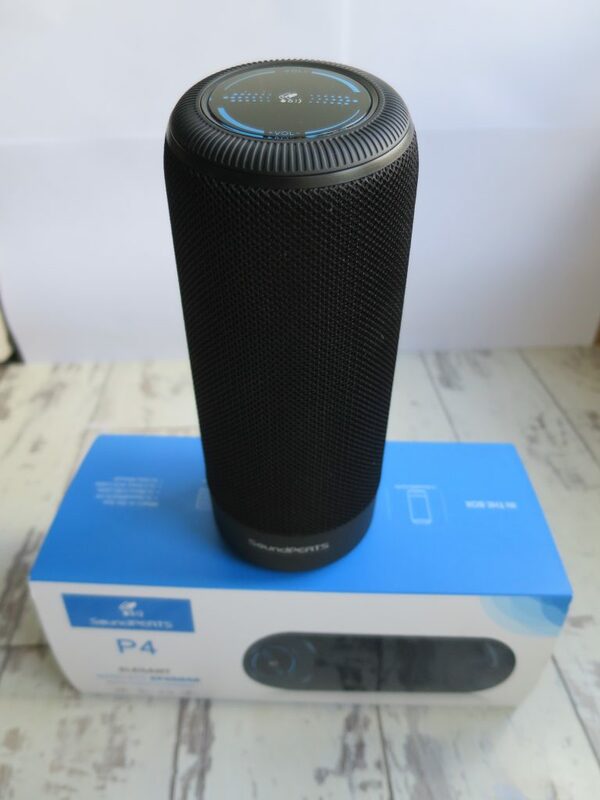 The speaker itself is a cylindrical speaker, much like the amazon echo. The product itself looks amazing but the most surprising thing for me was the price. At under £34 delivered it seems too good to be true. 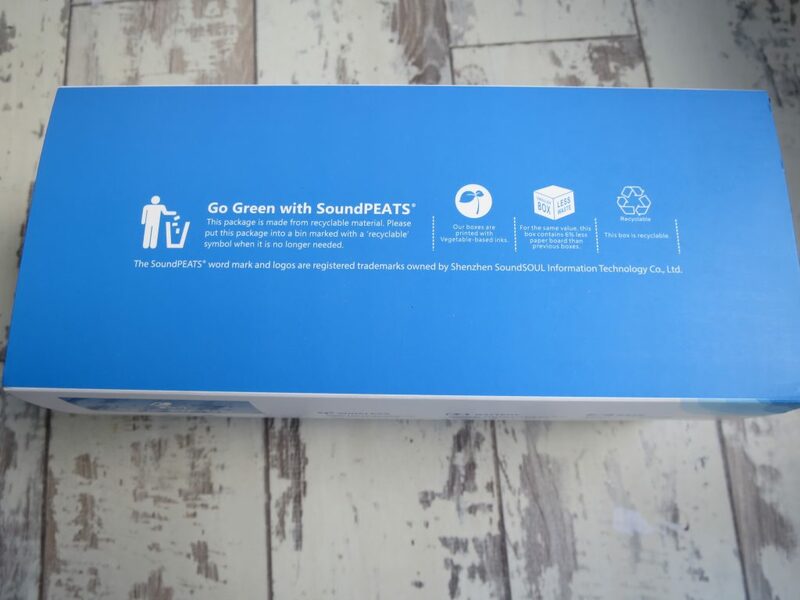 SoundPEATS wasn’t a brand I had heard of before browsing Amazon but the reviews seemed to be overwhelmingly good and the speaker itself looked pretty solid. 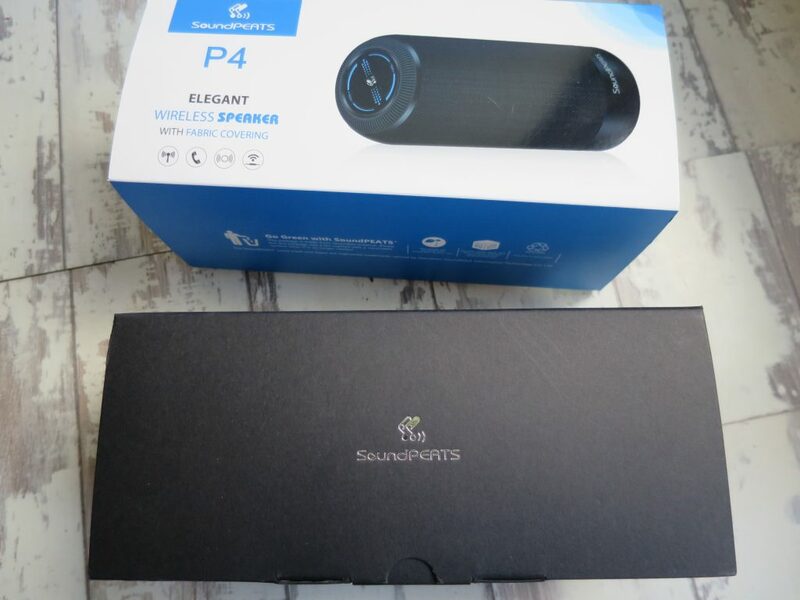 A few days later I took delivery of the SoundPEATS P4. 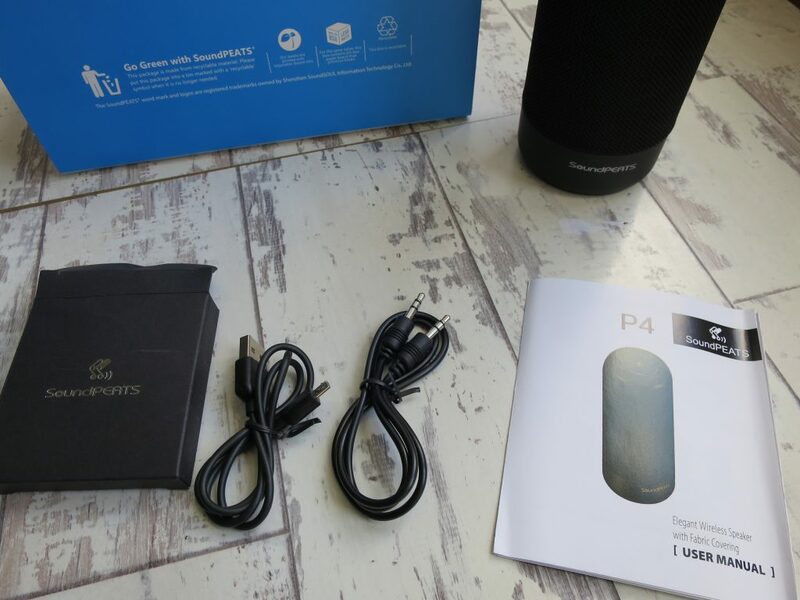 The package came extremely well packed from amazon which is always a worry with speakers, as any cracks or breaks in transit will rattle for the life of the speaker. 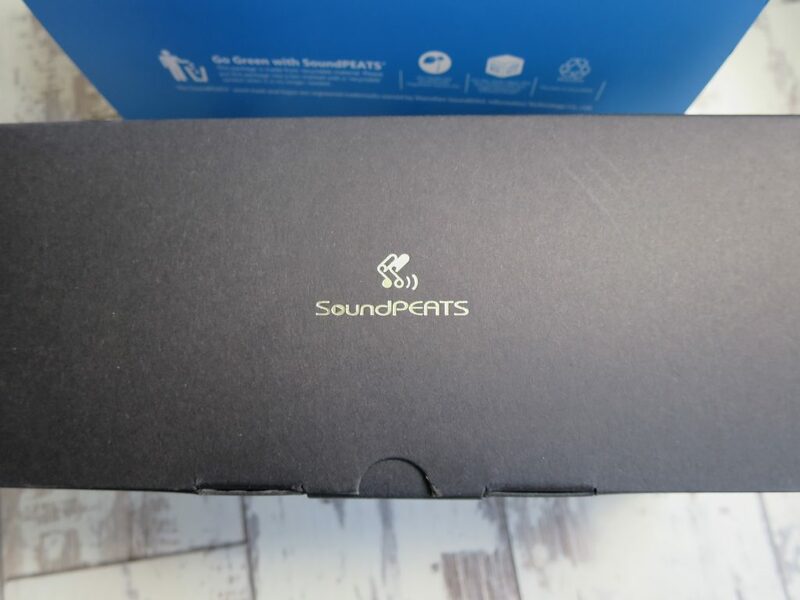 The soundpeats packaging itself was very snug and secure. The speaker was much heavier than I thought, but in a good way. 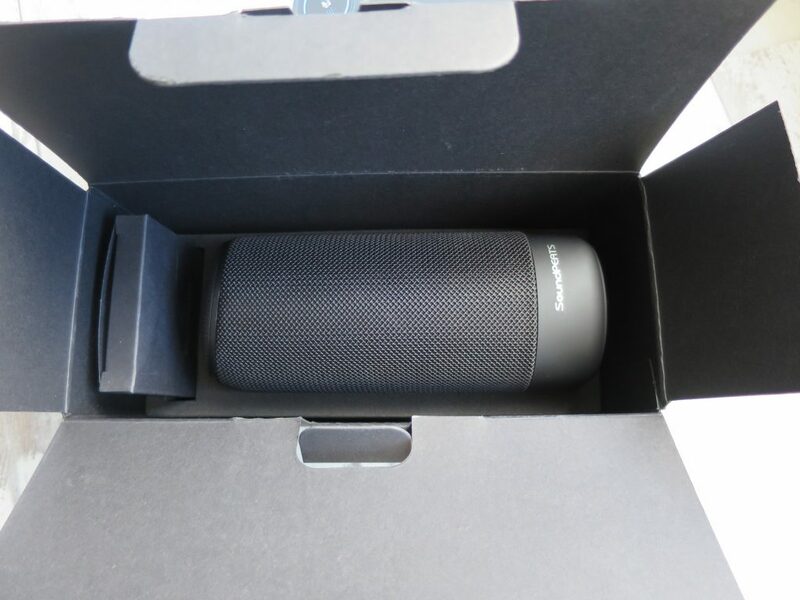 The housing feels robust and well made and the lovely fabric mesh covering reminded me of premium hifi speakers. The speaker feels like a premium product and the finish is brilliant. 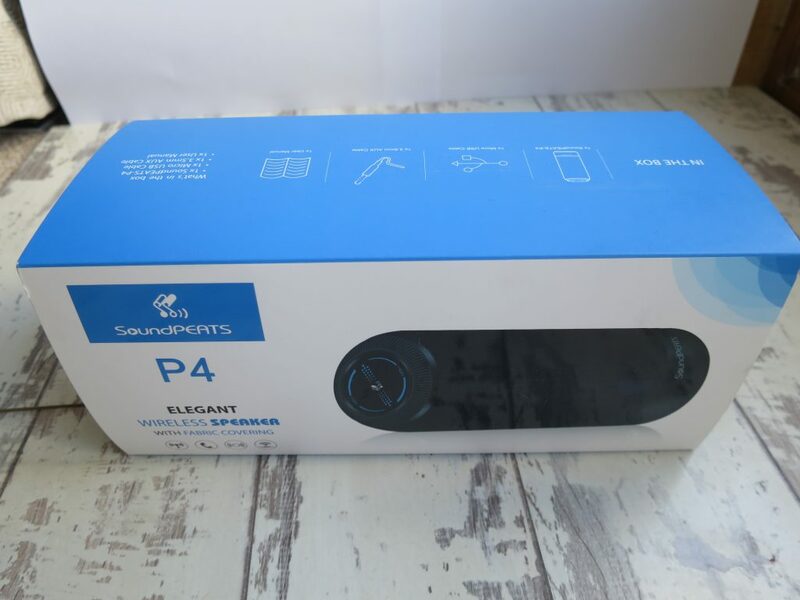 The box contains the SoundPEATS P4, along with a micro USB cable for charging, a 3.5mm aux cable for use with older & non bluetooth devices and a concise instruction manual. 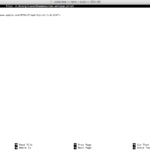 I didn’t need to use the instruction manual as it was very intuitive to get started. The P4 came with a full charge, ready to go. When you first turn on the speaker, it plays a harp sound to let you know it is on. Following that, for the first minute the speaker plays an audible beep, much like a submarine sound effect. This lets you know that the bluetooth is in discovery mode, allowing you to pair a new device. 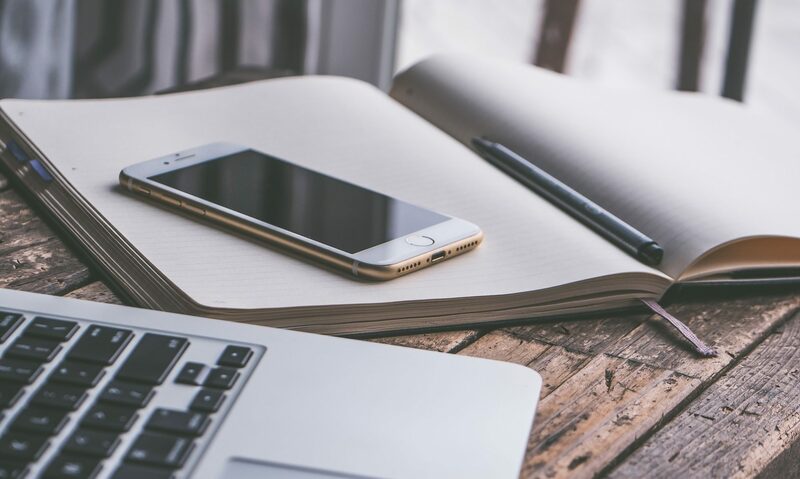 If the speaker already finds a paired device when it is turned on, it will automatically connect. 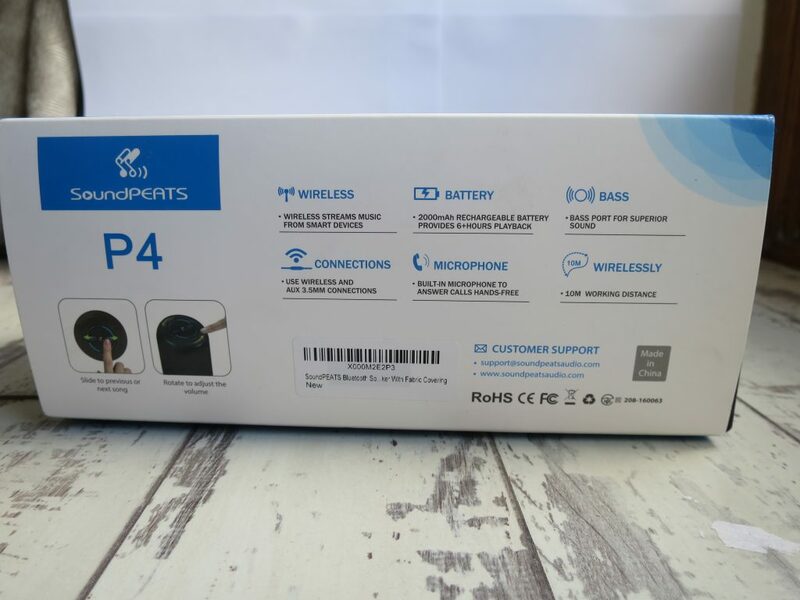 I connected the P4 to my iPhone 6 via bluetooth and instantly I was up and running using the P4 as my audio output device. 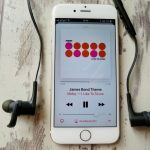 The first thing that struck me as soon as starting music playback was the level of bass. This speaker produces a lot of bass for a device of its size. I found that I had to turn off my bass boost EQ setting on the iPhone and I opted for the rock EQ to level out the bass and allow for a little more treble. I would suggest you have a play with your EQ settings as the natural bass this speaker produces is a little beyond even my expectations. It has a lot of low bass grunt. 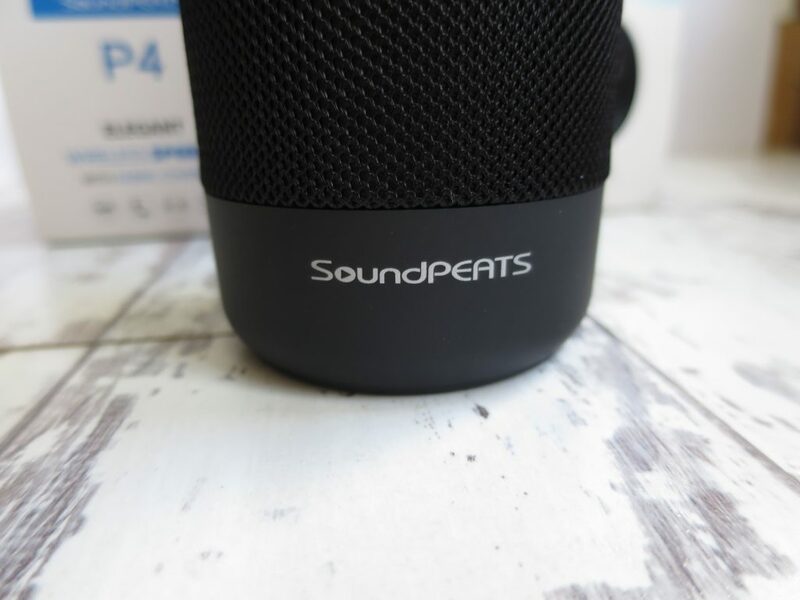 The SoundPEATS P4 has very few external buttons, making it very easy to operate. 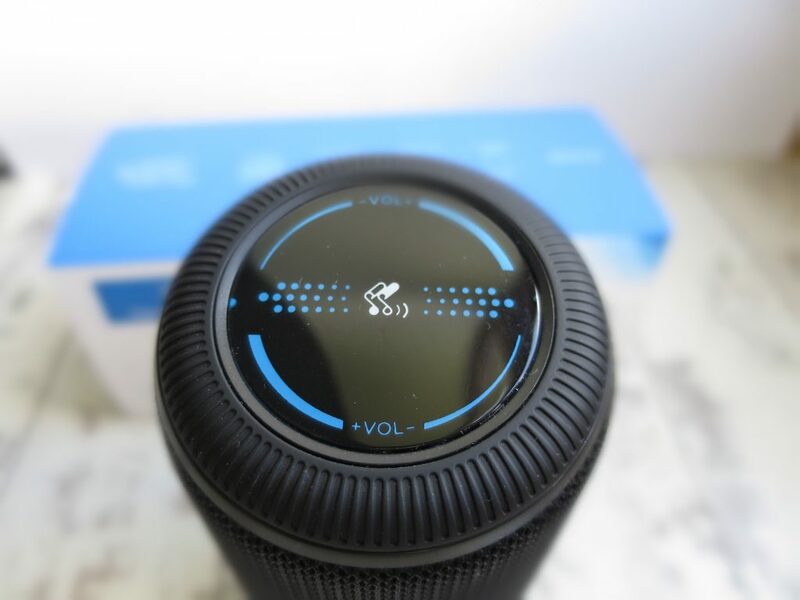 It has a power button on the base which also allows you to answer bluetooth calls via the speaker. 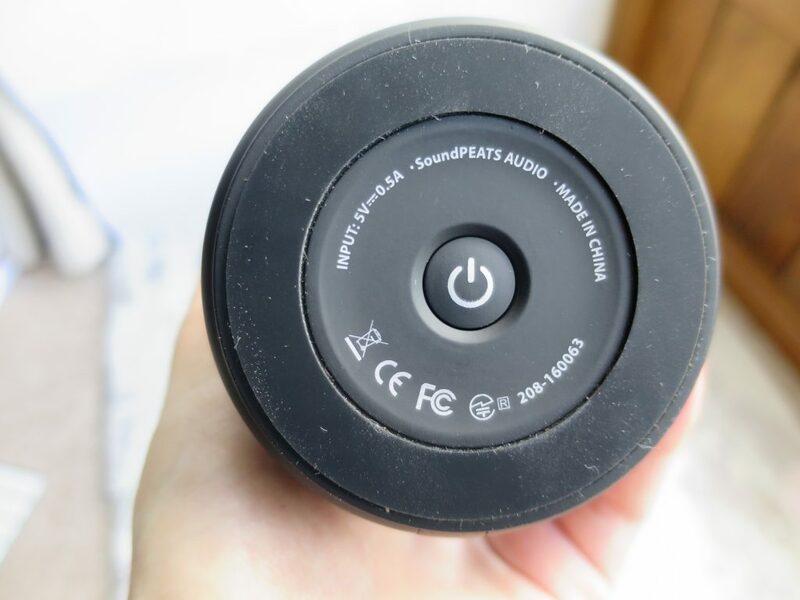 On the top of the speaker is a volume crown, allowing you to increase & decrease the volume. 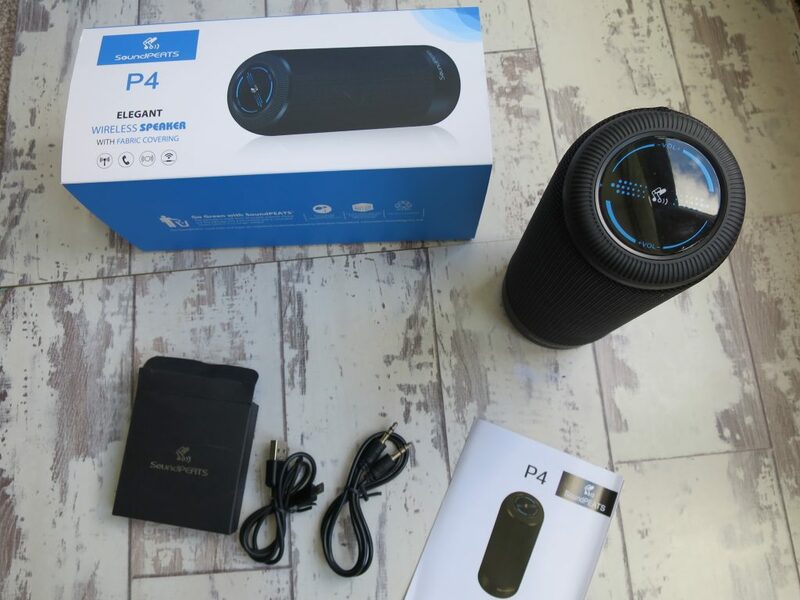 The P4 has its own small amp built-in, so the volume on your bluetooth device and the volume on the P4 work independently. I would recommend max volume on your device & then controlling volume from the P4 crown, but you can see which you prefer. 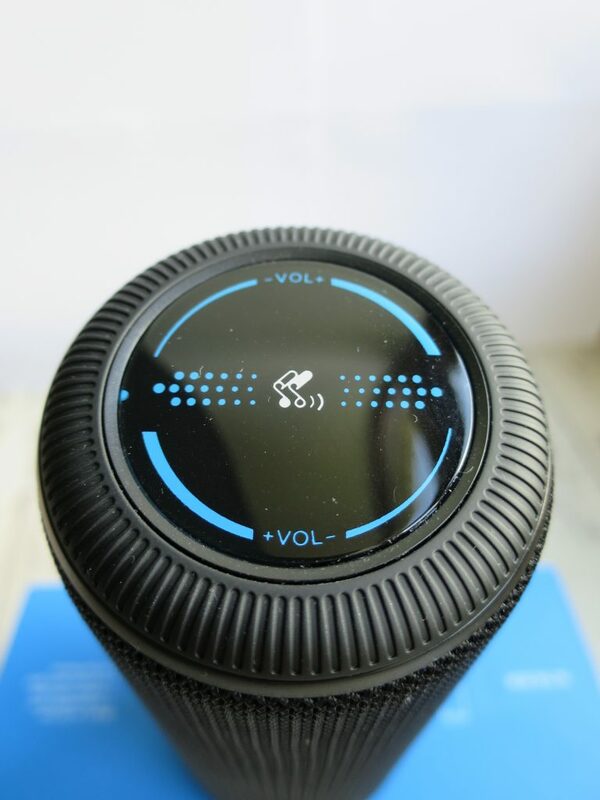 Controlling volume from your music device might be prefered if, for example, your phone is in your hand and the speaker is mounted on a table. 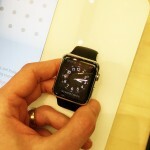 The crown also features a touch sensitive skip button for skipping to previous and next tracks. 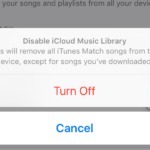 This controls your device over bluetooth and is very responsive. The battery life of the P4 is exceptional. I’ve been using it off & on all day and haven’t yet had it run out. The Micro USB for charging means you can charge the speaker from almost any USB port. I’ve been opting to charge using a spare apple USB wall charger and the supplied cable. The P4 has a 2000mah battery built-in which is rated for at least 6 hours of continuous playback. I’ve yet to find out how long it will actually last as it just doesn’t seem to run out in my regular every day use. 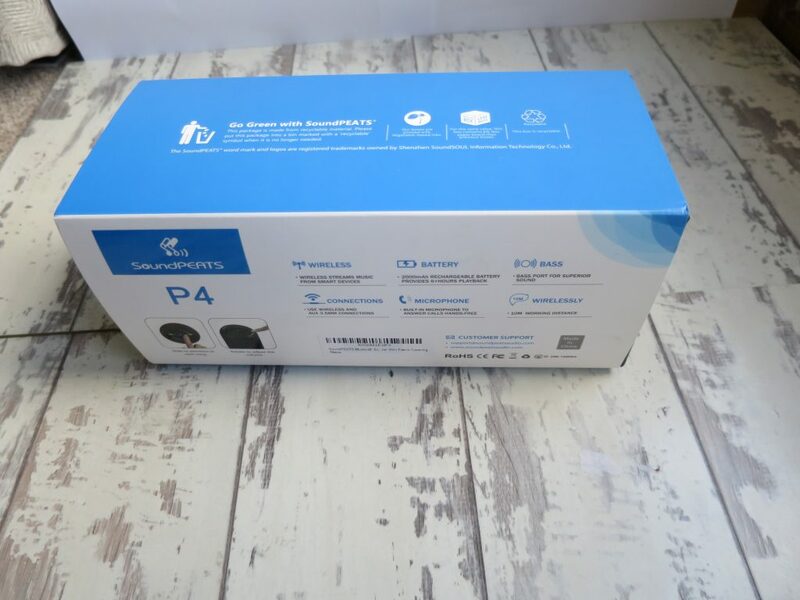 The P4 features Bluetooth 4.1 so is very low drain on devices such as smart phones, and allows for the extra features such as track skip and call answering. 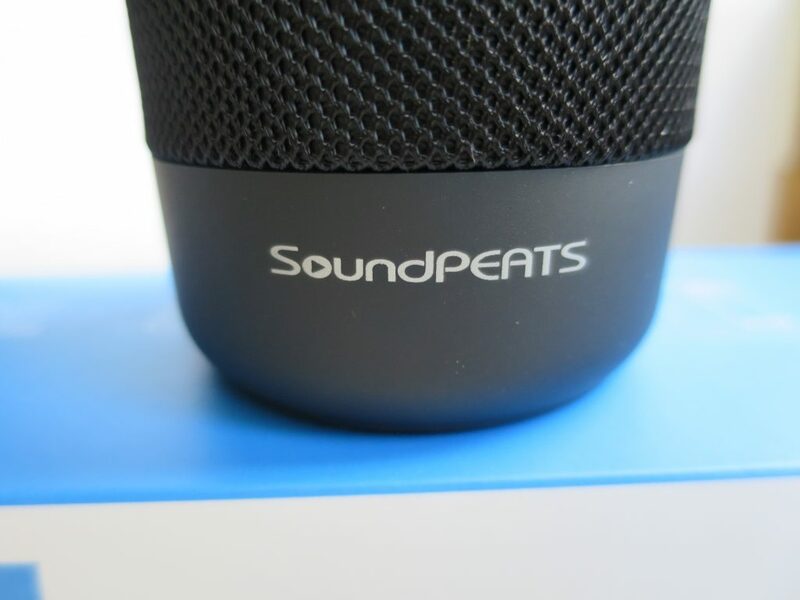 The cylindrical design allows for 360 degree sound and the two built-in speakers along with bass cavity allow for decent clarity & very thick bass. [Long Lasting Usage]: 2000mAh battery capacity provides you with up to 10 hours of playtime. It also features a great built-in micro USB charging port, which can even be charged by a power bank at any time during an emergency. My only criticism of the P4 would be the volume when using it outside. You really need to position the speaker close to a wall or another object to allow it to direct the sound at you. The only time I had an issue was on the beach with nothing to position the speaker against. The music was still audible and perfectly acceptable but it lost a bit of the punch you will experience when using it indoors. I’ve found this to be the case with most portable speakers, so more of an observation than a criticism. Also the bass is very strong, so play with your EQ. This isn’t a criticism but if you are going to get the best clarity and sound from the speaker, turn down the bass on any EQ settings you use on your smart phone. On the iPhone I’ve found the rock EQ to be the best for overall clarity, although you can turn off your EQ and let the P4 manage the sound for you. A lot of my usage of the P4 is using the aux port. I use my 128GB iPod with the speaker and I can play music in the kitchen or the shower & quite often in the bedroom. I’ve also used the P4 with my Macbook when travelling for music and to output all system sound for watching YouTube videos and movies. It works really well for that over bluetooth, although I prefer the AUX port and cable for Macbook use as the Macbook bluetooth sometimes struggles when using a magic mouse and another device over bluetooth. I would recommend this speaker to anyone and a few of my friends & family have already purchased one. The price is just too good for the quality of the speaker. 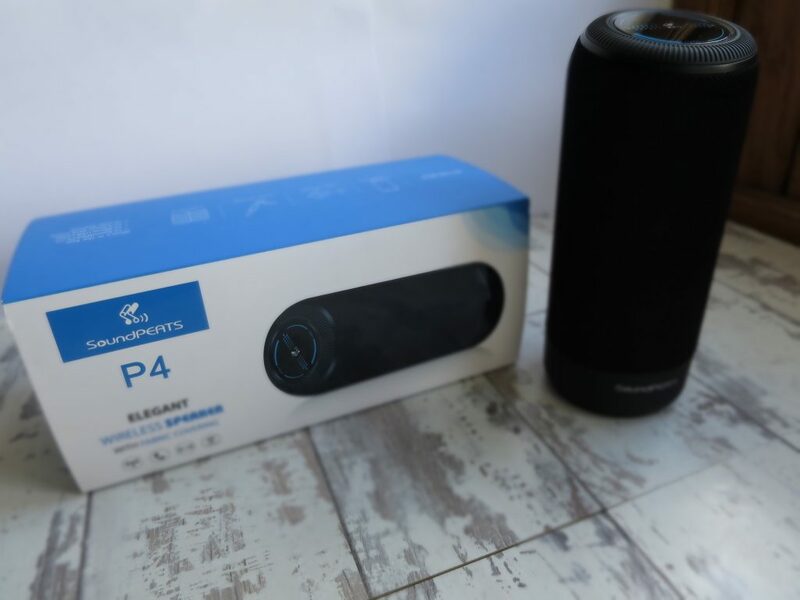 For under £35 you are getting great value for money and quality which can rival speakers 5 times the price. 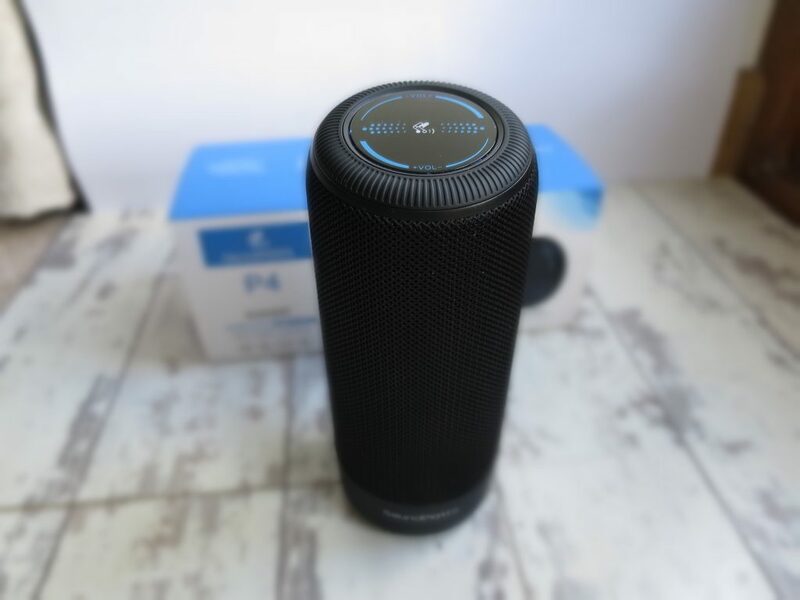 The speaker is currently on sale over on Amazon so go and Check it out by Clicking Here.